At Citrus Heights Dental we provide the hassle-free, affordable, quality dental care you deserve. Proper dental hygiene is a necessary component of your overall health and should not be neglected. Our entire staff is dedicated to helping our patients maintain bright and healthy smiles that will last a lifetime. 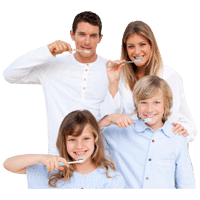 At Citrus Heights Dental we are ‘family’ and try to extend the care and service we appreciate ourselves. We don't just consider you a patient, we consider you part of the Citrus Heights Dental family.